The CIMB Classic is the first international event of the new PGA Tour season. The Tour will head to Kuala Lumpur, Malaysia where the pros will tee it up at TPC Kuala Lumpur for ninth renewal of this event, and sixth at this golf course. This is a limited field, no-cut event featuring 78 players. This event first started in 2010, and for the first three renewals was held at The Mines Resort and Golf Club, but has been at its current home since 2013. Since the move we have had two back-to-back winners here, firstly Ryan Moore who won in 2013 and 2014, before Justin Thomas won the next two renewals. Pat Perez nabbed his third PGA Tour victor here last year, a little under a year after winning the OHL Classic in Mayakoba. Thomas, Moore and Perez all return this year, as Perez looks to join the pair in going back-to-back at this golf course, whilst Thomas and Moore look to become the first three-time winners in this event. 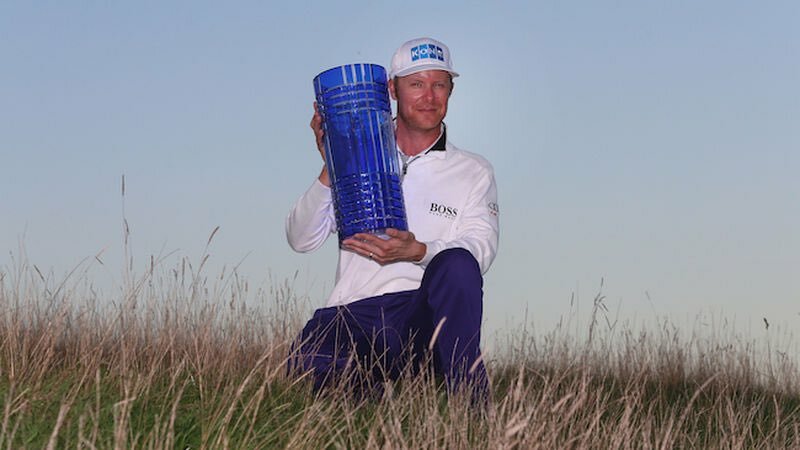 Joining the three are former FedEx Cup champions, Brandt Snedeker and Billy Horschel, to make it three former FedEx Cup champions in the field. BMW Championship winner, Keegan Bradley also plays this week, as does Xander Schauffele. Paul Casey and Marc Leishman will spearhead an International contingent, looking to breakthrough in this event. This event has never been won by a non-American, but a few have gone close. Hideki Matsuyama finished 2nd to Thomas in 2016 and Adam Scott missed out by a stroke, again to Thomas the year before. Neither Matsuyama (withdrawal) nor Scott (non-entry) will play this week, but another player who will look to join Casey and Leishman in pushing the Americans all the way this week, is Kiradech Aphibarnrat of Thailand. Aphibarnrat secured his PGA Tour card for this season, after some strong results last year, particularly his two top-5’s in WGC events and he also has history here. Aphibarnrat missed out on the play-off between Moore and Gary Woodland by one stroke in 2013 but also won the Maybank Malaysian Open at the same course earlier in the year. All in all, of the 78 players in the field, 16 of them feature in the top-50 of the Official World Golf Rankings. The West Course at Kuala Lumpur has been used to not only stage this event from 2013 onwards, but also for the Malaysian Open on the European Tour firstly in 2006, and then again from 2010-2015. What we have learned from these renewals, and what is fairly obvious from the length of the course is that distance off the tee is far from important. There is water in play on 13 of the 18 holes however, so trouble awaits on several holes, and something to keep in mind. Hitting lots of greens and making plenty of putts is again the recipe to success, so look to those that are dialled in with their wedges and irons. Thomas won here in 2015 and 2016, ranking a modest 29th the first time, and 13th when defending. Noticeably his worst Greens in Regulation performance lead to his worst effort here, as he ranked 35th in GIR and finished the week in 17th place. Perez ranked 1st in greens hit last year, and Moore ranked 8th in each of the two years he won, so Thomas was outlier when it came to the amount of greens hit, en-route to victory. The greens here at TPC Kuala Lumpur are now Bermudagrass, after a course renovation this year, which is a significant change from Paspalum “Seaisle Supreme” surface that has been here since hosting this event. These Bermuda greens are expected to be receptive, so scoring should still be low, but it could make a huge difference to those not comfortable with putting on this type of surface. Look up any player who’s had success here before, and see how they fare on Bermuda – Anirban Lahiri a fine example. Per futureoffantasy.com Lahiri averages 0.295 Strokes Gained when playing events with Bermuda greens, as opposed to his expected average of 1.031. This could also boost the chances of some, especially those that make big improvements v their expected performance, once they get on these greens. Whilst all the Par 5’s are largely gettable here, leading to birdie opportunities on all, scoring on the Par 5 is not an essential part of winning, but more a bonus. Perez ranked 9th last year in Par 5 Performance, and that is the highest of the winners over the last five years, by a margin. What you do on the Par 4’s however is key here, as Perez ranked 3rd in Par 4 Performance last year, Thomas 1st in 2016 and 6th in 2015, whilst Moore ranked T1 and 3rd in his two wins. It is no surprise that making the most birdies here is a big part of winning and Perez, Thomas and Moore all either ranked 1st or tied 1st in this category the week they won. On average they made 27 birdies, bloated slightly by the 30 Thomas made in 2015. 27 birdies is a perfect target here, and would certainly go a long way to getting the job done. Xander Schauffele put together another impressive season in 2017/18, even if he failed to add to this two wins from the season before. He came close on multiple occasions though, finishing T2 at the Open Championship and Players Championship, and also more recently when T3 at the BMW Championship. Schauffele followed up his 3rd place finish at the BMW with a T7 finish at the Tour Championship, where he was defending a title he beat Thomas to a year before. In all, Schauffele had 8 top-10 finishes last season, highlighted by his efforts at the Open (T2), The Players (T2) and the U.S. Open (T6). That T6 finish at the U.S. Open was his second straight top-6 in that event, in as many attempts, highlighting his ability to excel on the big stage. After winning twice in his debut season, he will be hungry for more, and a player of his calibre is more than capable of targeting a win a season on average. To help him achieve such a feat, he should look to take advantage of weeks such as this, where he has just 77 players to beat, many of which are not at his level. He made his debut in this event last year, on his very next start following his Tour Championship win, and he has stuck to the same schedule this time around. Given the distractions that come from winning an event such as the Tour Championship, as well as the energy he put into his debut season, it was beyond impressive that he managed a T3 here on his first look. A bogey-free 65 kicked off his week here last year, and went on to shoot 67 on both Friday and Saturday as well. This was enough to put him in the final pairing with eventual winner, Pat Perez, but he appeared to run out of steam on Sunday. A final round 72 derailed his chances of back-to-back victories, eventually leaving him 7 shots adrift of Perez. He will have learned a lesson on that Sunday, and will perhaps be able to approach this week a bit differently, now he’s been out of the winning spotlight for a while. What still remains is his very good form and clear ability to win, and whilst he is only 18/1 this week, he looks a very good bet to pick up his third PGA Tour title this week. A confident pick here, reflected in the stakes. Cameron Smith is clearly a very talented player, who plays well in big tournaments, the thing he is lacking is an individual PGA Tour victory. I say individual because he has won the Zurich Classic, but was partnered with Jonas Blixt. Whilst he did much of the heavy lifting that week, it wasn’t officially just his win, so will want to claim a solo title sooner rather than later. Amongst others, the CIMB Classic is an event that Smith has enjoyed over recent years, finishing 5th both in 2017 and on debut in 2014. Even when 37th in 2015, he opened with a round of 66, so and closed with a 69, so this is clearly a course he likes. Smith finished 3rd in each of his first two FedEx Cup playoff starts (Northern Trust and Dell Tech Championship), but couldn’t keep up the form. A 65th place finish in the 70-man BMW Championship field, and 20th in the 30-man Tour Championship field weren’t his best efforts, but he can put them behind him. The Australian has won his home Championship (Australian PGA) and also placed top-5 in both the Masters (T5) and the U.S. Open (T4), so clearly has an abundance of talent, and it is surely a case of when, not if he finds him maiden solo victory at this level. This event provides a good opportunity to do so, given his liking for the conditions and course here in Malaysia. 33/1 seems fair in this limited field, as he was going off at similar recently, in FedEx events. C.T. Pan put together a very good 2017/18 PGA Tour season, and the only thing missing was a win. He knocked the door at both the Wyndham Championship (T2) and perhaps most impressively at the Dell Technologies Championship (T4), which is of course a FedEx Cup playoffs event. Given his performances in these two events, both of which have come over his last four starts, it appears Pan has made a step up in his game. With that in mind, the only progression at this stage is a win, and he can find it this week in Kuala Lumpur. No one who played more than 94 rounds last year, ranked higher than Pan in Greens in Regulation and he ranked 6th overall, so he knows how to find the putting surface with regularity. He also ranked 49th in Birdie Average, which was impressive, given he only found his best form towards the tail-end of the season. Whilst some of best performances have come at course that have either Poa Annua or Bentgrass greens, his T2 at the Wyndham was on Bermuda, so he shouldn’t mind the new surfaces here. He finished 17th on debut here last year, two shots outside of the top-10 and he got progressively better over the weekend. Rounds of 70-70-69-68 highlight this, so a faster start may well lead to big finish this week. Pan has only missed the cut once in his last 14 events, and whilst there will be no cut this week, that does show a certain level of consistency in his game. He is trending towards his first victory and perhaps playing in Asia will give him a boost. A Gold Medallist at the Asian Games as an amateur will only bring fond memories and a return to his home continent can only be a bonus. To add to this, C.T. Pan announced on his twitter that he will have his Brother on the bag for all Asian events, which may add another level of comfort. At 45/1, in a limited field I think he looks a decent bet to get over the line, in a part of the world where he should feel comfortable, and on a course he performed reasonably well at on debut. Sam Ryder has been very impressive in recent months, and added to that good run of form by finishing T4 at the Safeway Open last week, one shot outside the three-man play-off. Ryder finished 5th at the Houston Open last March where a third-round 71 cost him a chance of winning, after shooting rounds of 66-68-68 over the other three days. This week though was clearly a confidence boost for Ryder, who up to that point had missed 6 of his first 11 cuts on the season. In 14 starts since, Ryder has missed the weekend on four occasions, but he’s also finished inside the top-7 on three occasions. A decent showing at the Northern Trust (T28) was not enough for him to make it to the Dell Tech Championship, allowing him a few weeks off, to collect himself before the Safeway. Ryder ranked 2nd on Tour in Greens in Regulation last season, hitting over 72% of greens over his 82 rounds. He ranked 20th in Greens in Regulation last week, but hit over 76% of greens there, with 10 players in a tie for 10th hitting 77.78%. Given his recent run of form, which has seen him finish T2 at the John Deere Classic, T7 at the Barbasol Championship and T4 last week at the Safeway, in his last six starts, I think the time is right to back him. Although this will be his course debut, he has the accuracy side of his game to lean on, and hopefully he can keep up and make the amount of birdies needed here to win. At 80/1 he was perhaps slightly shorter than I was hoping, but in a limited field of 78 players, ten of which are Asian Tour regulars and one a Malaysian amateur, it was perhaps too much to ask for bigger. Lucas Bjerregaard’s win at the Dunhill Links (50/1) as well as SungJae Im (100/1) placing at the Safeway Open meant we made some welcome profit last week, but there is still plenty to do before the year is out. A victory from Schauffele this week would get us close to even again, and allow a chance for profit before the year is out. It has been a tough and frustrating season, but last week finally provided some hope.